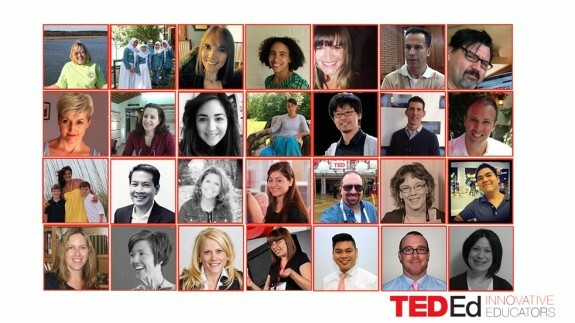 Meet the first cohort of TED-Ed Innovative Educators! What does innovation in education look like to you? “When talking about creativity and innovation in education, the name of one of my favorite educators — Sir Ken Robinson — always crops up. He says that what we are doing now, or have done in the past, need not determine what we can do next, or in the future. Thus, to me, innovation in education means looking beyond past and current ideas to search for ideas that will work in the future. That is the world in which our learners will live. “We ask so much of our students: to be brave, compassionate, tenacious problem-solvers. I often wonder, ‘Am I all that I ask my students to be?’ If we expect innovation in the classroom, we have to project and live a growth mindset, to overcome doubt and fear of failure. Innovation and technology are not interchangeable terms. To me, innovation is anything that takes a broken or stagnant system and makes an attempt to remedy it. It means not falling back on the comfort of, ‘But we have always done it this way.’ Instead of complaining about what is not working in education, it means becoming part of the solution — one small step at a time. Interesting in becoming a TED-Ed Innovative Educator? Fill out the application here. TED-Ed Club Connect Week is Jan 19-25: Reserve your spot! This is a great bit of inspiration that I happened across from my news feed this morning. Thank you innovators! We at the Institute of Meaningful Instruction are in the game of innovation through teaching self-management skillsets to students and parents. info@exploringtomorrow.org if anyone is interested in more!